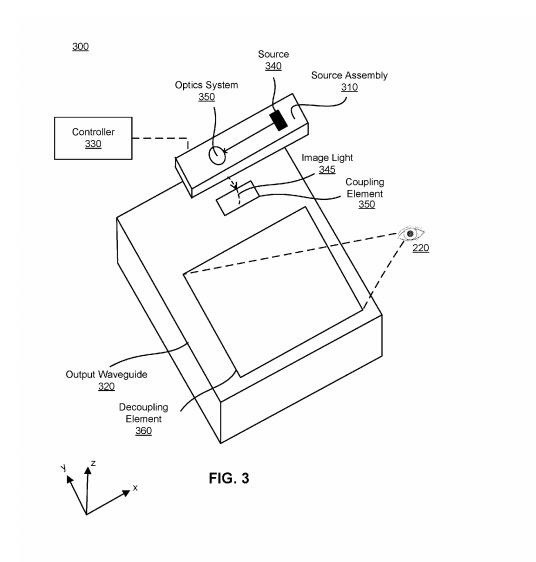 A patent application for waveguide-based smart glasses submitted by way of their subsidiary Oculus sheds light on Facebook's plans to escalate their augmented reality efforts. 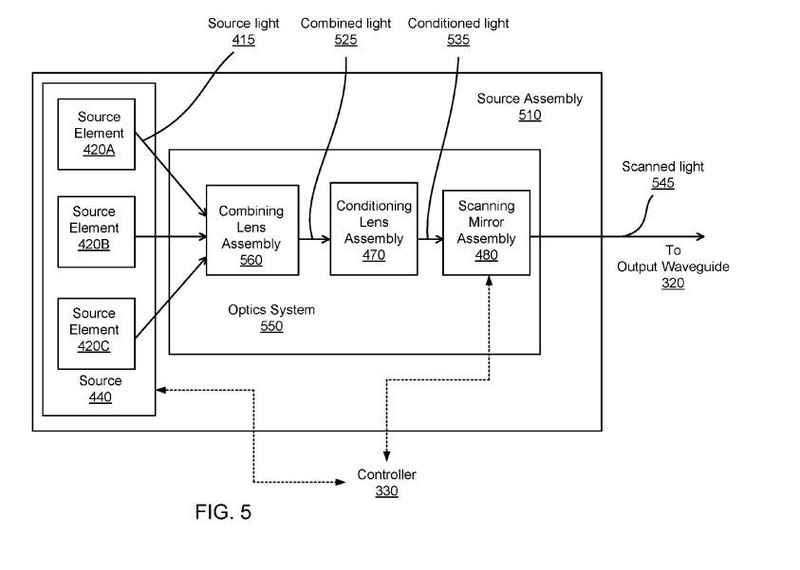 According to the filing submitted to the US Patent and Trademark Office in Feb. 2016, the near-eye display consists a source assembly that project images via focused light through an optics assembly to a waveguide output display. The light source is comprised of various source elements, such as lasers, and emits light based on instructions from a controller. The optics system includes various elements and mirrors that manipulate and beam the projected light to the user's eye. A decoupling element in the waveguide display creates holographic images. The diagrams above illustrate the assemblies involved, though the final form could vary greatly. 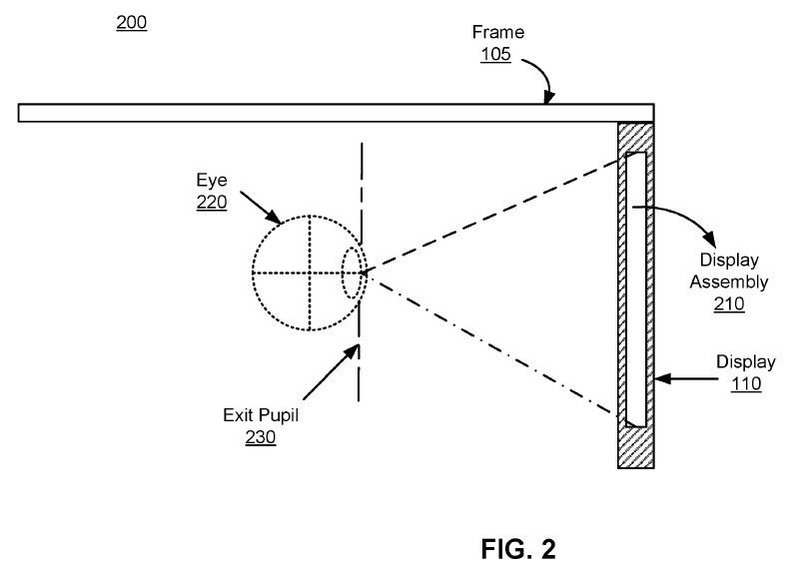 The patent follows the roadmap that Facebook outlined at F8 last year, with augmented and virtual reality, by way of Oculus, integrated into their social framework. After making steps to implement Snapchat-like features into their products, the company announced their beyond their augmented reality mobile platform at this year's F8.